This self-catering unit is perfect for one or two couples travelling together, a family or a group of friends. 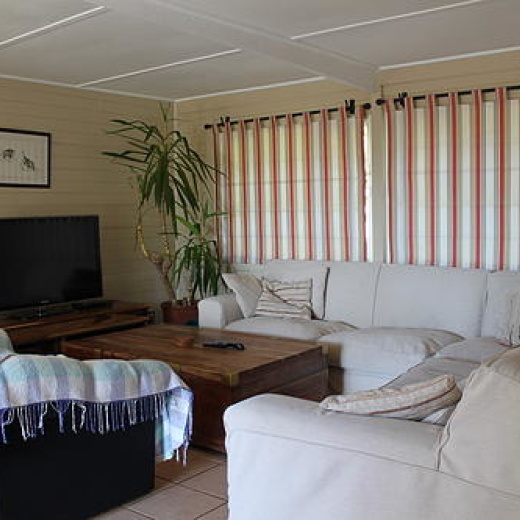 The house is two-minute walk away from Kommetjie’s spectacular Long Beach. Offering three large double bedrooms, a full bathroom with bath, shower and toilet, as well as a second separate toilet. An outdoor hot shower is great to rinse off after a swim, surf or stroll on the beach. This spacious, light and airy, comfortably furnished wooden beach house offers excellent privacy for guests. Serviced on week days, weekends on request. Secure parking is available inside the gated property. Watch TV (DSTV available for all your favourite sporting events) or play pool in the large living room, which opens onto a spacious private outdoor area with plunge pool (unfenced) and braai. A separate full kitchen completes this holiday unit.